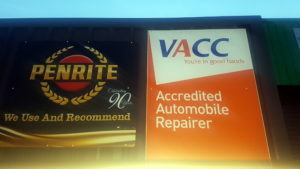 We are delighted to announce that Williams Automotive Wangaratta have obtained VACC Accredited Automobile Repairer. What this means for our customers is that they can rest assured that they are in good hands. VACC have awarded us with this accreditation based on our level of customer service, technical knowledge and standards of workmanship.